The Bureau’s summer campaign presents an amazing, NO-COST opportunity to boost your business! In conjunction with our summer Come Play Outside Campaign, the VCB is hosting a Throwback Summer Photo Contest on Facebook, encouraging potential visitors to share a childhood photo of their favorite summer memory. Photos uploaded to the Facebook contest page will be voted on and the entry with the most votes each week will be entered to win one of two grand prize trips to the Punta Gorda/Englewood Beach area. Spread the word! 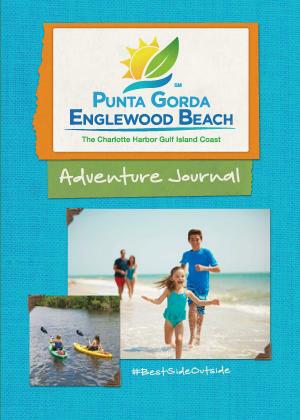 Punta Gorda/Englewood Beach’s Summer Campaign will encourage travelers to “Come Play Outside” in our area, and position us as the one destination that provides all the best of Florida’s coveted outdoor activities in one place. The campaign will be promoted through digital advertising in key in-state and out-of-state markets from mid-April through the end of August with an estimated 10 million impressions. These ads will drive potential visitors to a Special Summer Offers section of the website. Work together and consider added value. The most attractive packages are those that include not only accommodation discounts, but added value such as free or discounted activities, dining, tours, promo items, etc. Incorporate the “Come Play Outside” Summer Campaign theme and/or the destination tagline “Our best side is outside” into your offers, if applicable.